Peter and a small group of Darwin-based consultants join Maitland’s network in 2014. This meant Maitland was finally able to offer clients an Australia –wide service with consultants based in all mainland capital cities. 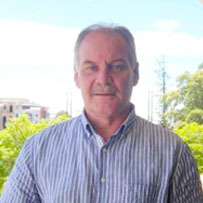 Peter and his colleagues have a deep understanding and appreciation of the unique issues of operating a business in the northern part of Australia. Between them they have a diverse set of skill and are comfortable consulting in the medium and small business environment, which dominates the North, along with many government departments. Peter also plays a role at Board-level in bridging the needs of the people living in the north and the large companies who want to operate in northern Australia. This group completes Maitland’s Australia-wide coaching panel for some of our large international and national companies.